The rose is an iconic flower with a robust history. For Armenians it is especially important, figuring in the songs of the 18th century poet Sayat Nova and also showing up in the cuisine in the form of jams, juices, and wines. For us at Nairian the rose holds an incredible amount of potential for beautifying the skin! 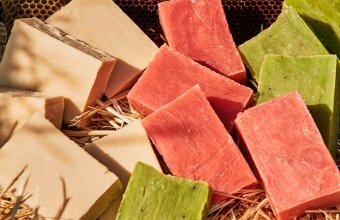 Here are 5 amazing things you probably didn’t know about the Damask rose essential oil we craft in Armenia! Numerous scientific studies have been conducted over the years, affirming the incredible effect that the rose has on the human body. Several components of the essential oil distilled from the flowers of Rosa damascena are said to have antibacterial, antioxidant and relaxing properties. This is the reason why this oil is widely used in cosmetics and naturopathy, and not only as a fragrance. 2. Is rose essential oil expensive? As with any essential oil, the content and composition of rose essential oil can change significantly depending on the location where the plants are grown and the way that they are cared for. However, no matter the cultivation, rose is known to be one of the most expensive essential oil out there. By weight, rose essential oil is more expensive than gold! 3. Is it easy to produce rose essential oil? Making rose essential oil requires us to wake up before sunrise to pick the petals, and then another day of operating a large distillation machine. However, during the whole process we are surrounded by the gorgeous fragrance of Damask roses, which makes the whole thing worth it! It takes about 2000 rose petals to yield a single drop of essential oil, so you can imagine just how many kilos of rose petals we had to grow and harvest to product about a 1 litre of essential oil. So as you can imagine, this essential oil is packed with compounds that are great for giving you the skin and hair of your dream. Because rose essential oil is so strong, you only need a little bit to go a long way, but what exactly is in this powerful essential oil? 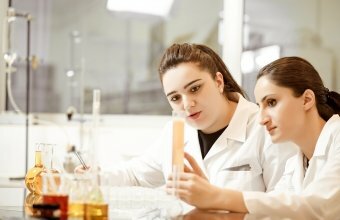 Nairian chemists conducted research on essential oil distilled from the Damask rose flowers we cultivate in Armenia, which grow at an exceptionally high elevation of 1600 m above sea level. This study determined the chemical composition of the essential oil and tested its biological activities. We obtained the essential oil through a hydro-distillation method using a Clevenger type apparatus. 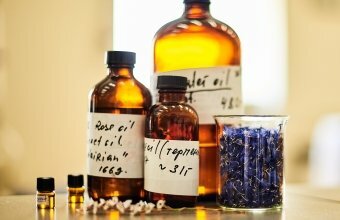 Its chemical composition was determined with a GC-MS machine, a special machine that gives a very precise breakdown of the compounds that make up an essential oil. As a result of analysis, we learned the main compounds in our rose essential oil are citronellol (22.28%), nonadecane (15.09%), caryophyllene (10.82%), heneicosane (9.21%), farnesol (6.34%) and citral (6.15%). Both the antioxidant activity of the essential oil and its ability to inhibit bacteria and fungus were tested. Our chemists discovered high antioxidant activity and some significant antimicrobial properties. For us, the antioxidant activity is what particularly stood out. Antioxidants are an important part of anti-aging skin care, since they stop damage at its tracks. Free radical damage, the kind of damage caused by sun exposure, pollution, and smoke, is one of the factors responsible for visible signs of aging in the skin, and its a factor that can be mitigated with topical skincare. Because of its ability to stop this damage, rose essential oil became a mandatory addition to our age fighting products! 5. And what about rose distillate? Rose water distillate or rose water is the pure water based solution that is created when rose petals are steam distilled, releasing volatile therapeutic components into the water. 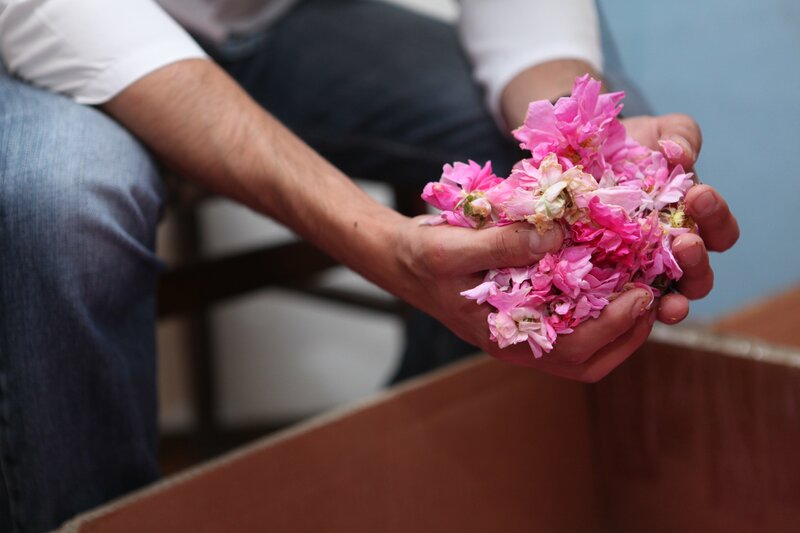 Rose water is the beautiful byproduct of our rose essential oil distillation process. Rose water is well known for its calming effect, and for its ability to deliver other ingredients into the skin. 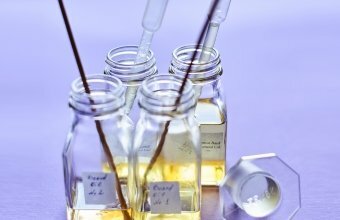 Because we are in control of all stages of Nairian skincare production, from seed to bottle, we are able to use the rose distillate in our creams, cleansers and micellar water in place of regular water, in order to give you skincare products that work more effectively while soothing the skin. So why don’t you start benefiting from the goodness that this essential oil gives your skin now? You can discover the magic of rose essential oil in our Anti-Age Eye Cream, Firming Cream, and Micellar Water. I asked the founder of Nairian which ingredients she would never, ever apply to her own skin, or use in her own formulas. This is a list of some of the potentially toxic ingredients you should watch out for.